• Please try to give us a couple of days notice to make sure we can accommodate you. • Lesson Costs: $50.00 an hour, per person. We limit our private casting lessons to two people. This helps insure that everyone receives enough quality instruction. • All lessons are no more than one hour, unless there are extenuating circumstances (i.e. multiple people, advanced techniques, etc.). • For each lesson you pay for, you receive a free “tune-up” down the road. 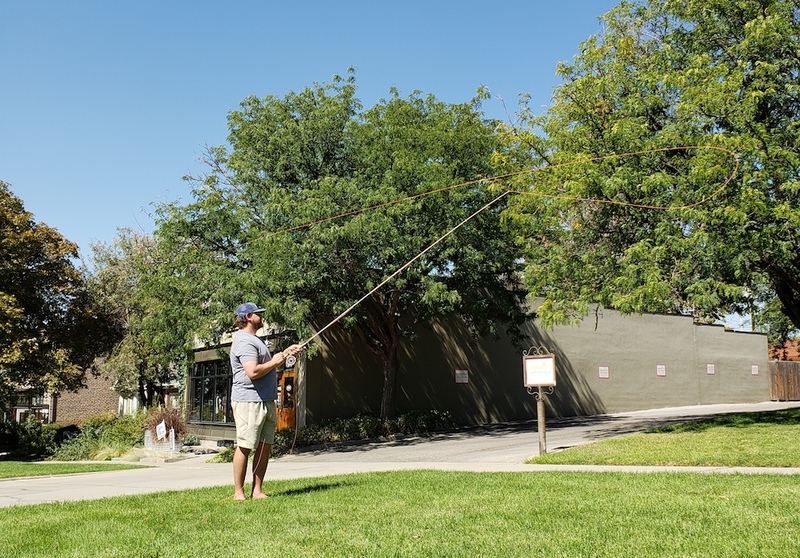 In short, you can come back for a thirty-minute fly-casting session that focuses on what was covered in the previous lesson, and make sure no bad habits have crept into your fly-casting. If you can’t put your fly where you want it to, you really can’t enjoy all that fly-fishing has to offer. Let us help you make sure that you spend more time fishing, and less time untangling!